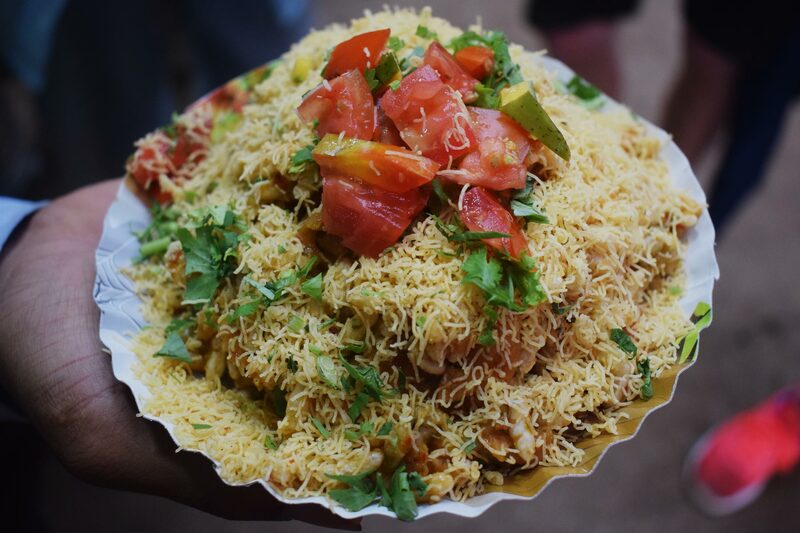 Get off the eaten path with our delicious tour of Mumbai’s best street food! Mumbai is famous across India for its outstanding street food, but discovering the best hygienic eateries in the big city is not always easy. Not to worry, that’s where we come in! We’ll help you experience the city’s flavours that please the taste buds and go easy on the stomach, guiding you through Mumbai’s two renowned street food areas. We’ll start at Mumbai’s most famous beach, Chowpatty, where we’ll try an array of Mumbai’s best vegetarian street food as we watch the sun set. We’ll have classics such as dahi puri, pani puri and pav bhaji. Then we’ll take a short taxi ride to the lively Mohommad Ali Road area. In this predominantly Muslim neighborhood we’ll introduce you to the local culture and, of course, the delicious food. In the bustling ali khao gaullis (eating lanes) you will find mainly non-vegetarian options such as chota kebabs and chicken tikka. Note: We’ll be sampling many different dishes and a few items we’ll try along Mohammed Ali Road are non-vegetarian. However, there are plenty of options for vegetarians: for example, all snacks at Chowpatty Beach are vegetarian. 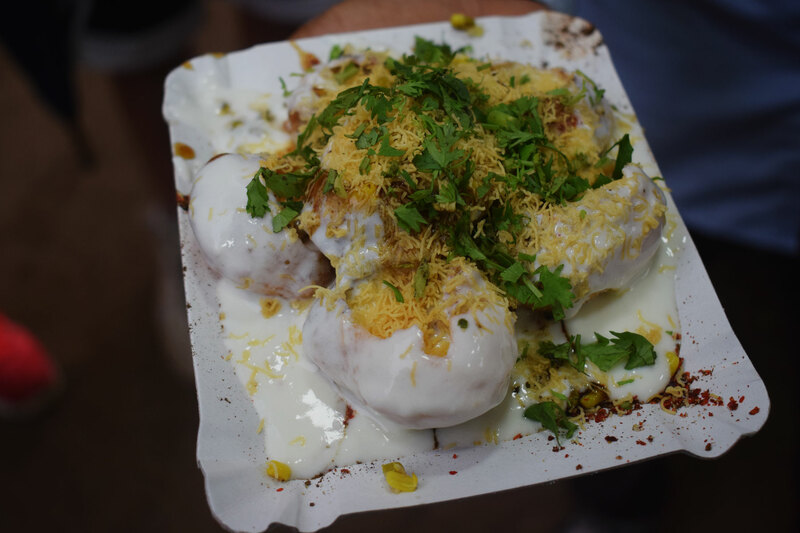 A foodie’s visit to Mumbai is not complete without a stop at Chowpatty Beach – the best place to taste Mumbai’s (vegetarian) favourites such as pav bhaji and pani puri. Munch on this classic Mumbai street food while you watch the sun set over Chowpatty Beach. It’s potato, herbs, chutneys, and sev (thin strips of fried chickpea flour) served on round discs. Sample hand-churned ice cream in unfamiliar flavours at a 120-year-old shop and satisfy your sweet tooth with sugary, bright orange jalebi, the national sweet of India. Still on Chowpatty, sample Kulfi, a frozen dairy dessert very similar to ice cream, but much denser and creamier. Popular flavours include rose, mango, pistachio, cardamom and saffron. Witness the buzz of activity surrounding Mohammed Ali Road, an area with several important mosques and the epicentre of the city’s Ramadan celebrations. Taste the mouthwatering chota kebabs and chicken tikka that pepper the lanes. 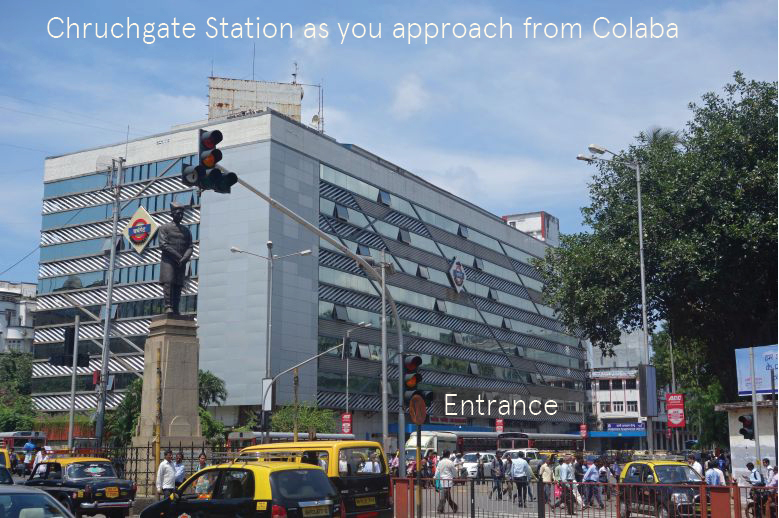 There are four entrances to Churchgate Station, including two subways. Use the entrace shown in photo one. 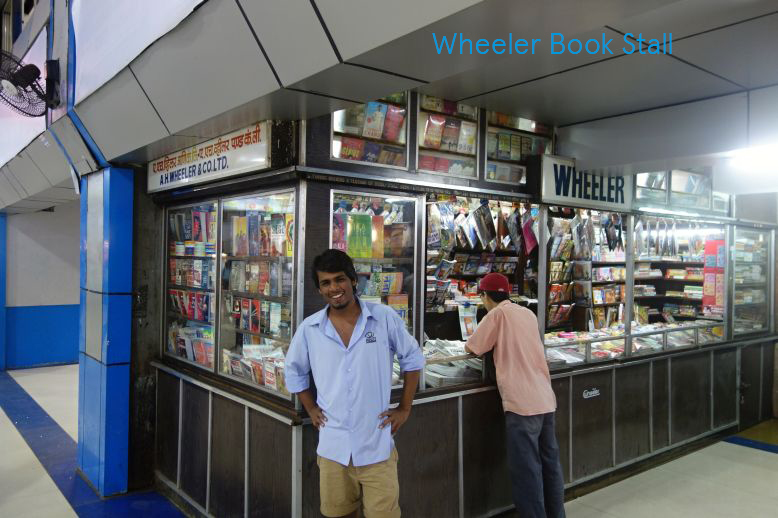 Near Mohammed Ali Road and MS Ali Road, just north of Chor Bazaar (closest train stations: Grant Road, Sandhurst Road). Your guide can assist you in getting a taxi. The first half of the tour (at Chowpatty beach) is entirely vegetarian. The second half of the tour is mainly meat but there are a few vegetarian dessert stops. If you’re vegetarian, eat a bit extra at Chowpatty and then spend your time in the Mohammad Ali Road area soaking in the electric atmosphere! The first half of the tour is at Chowpatty Beach and the second half is spent exploring the Mohammad Ali Road Area and trying the best of Mumbai’s non-vegetarian street food. At Chowpatty we will try some traditional Mumbai snacks like pani puri, sev puri, and pav bhaji. 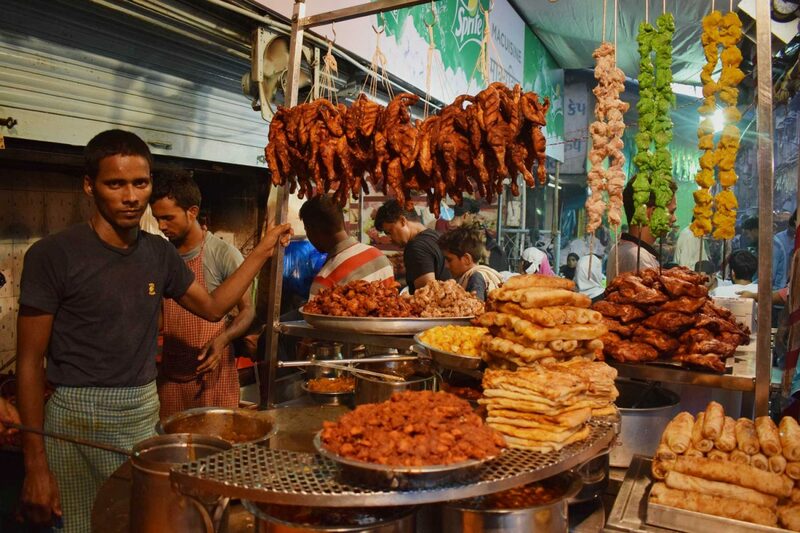 At the Mohammed Ali Road area we will eat snacks like chicken tikka and chota kebabs as well as a few desserts like fresh fruit ice cream and jalebi. We provide an evening tour as that is when the traditional street food areas of Mumbai we visit on tour come alive and the stalls open. The tour does not really work as well earlier in the day, when fewer food vendors are open and the atmosphere is lost. Where is the second stop, Mohammad Ali Road? How do we get there? 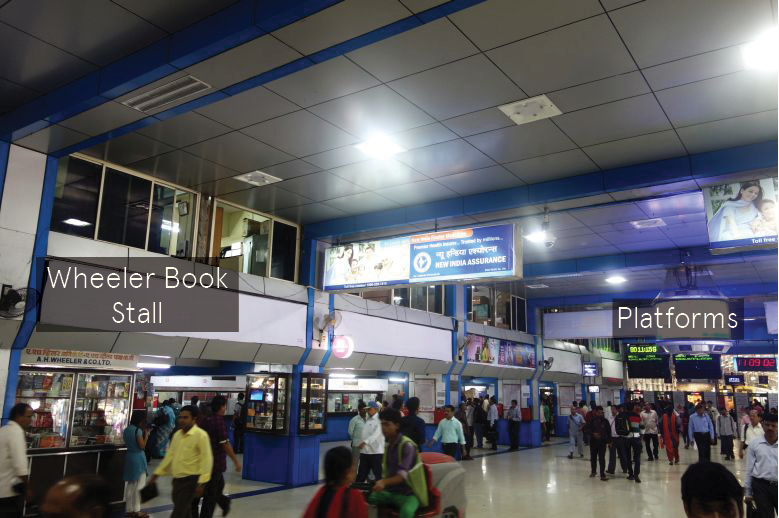 The Mohammad Ali Road area is directly east of Chowpatty Beach and to the north of CST Station and Crawford Market. We will travel there by taxi and it takes about 15-20 minutes, just enough time to get hungry again for the next stops!